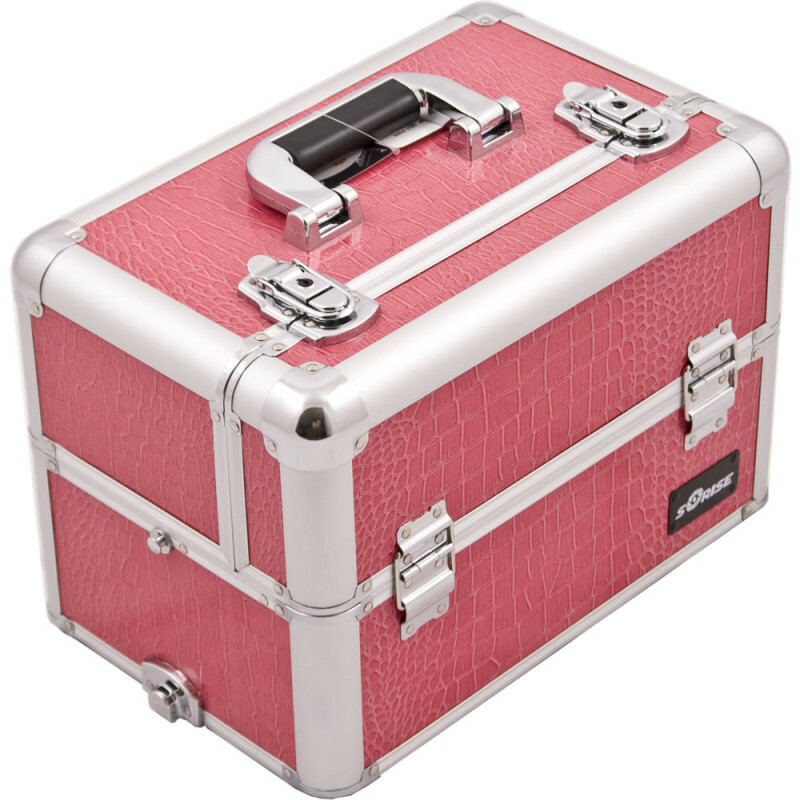 The E3307 Sunrise Hot Pink Croc Pro Makeup Case w/Removable Clear Zippered Pocket has a wide top opening and provides ample makeup storage. 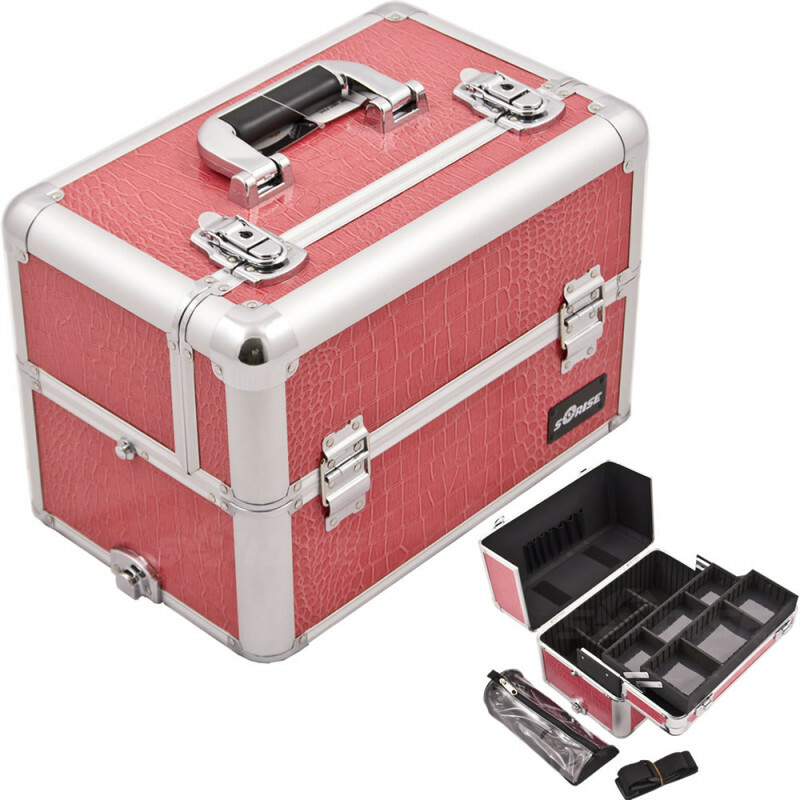 Lock and key to keep your cosmetics secure. Shoulder strap and heavy duty handle make carrying a breeze. 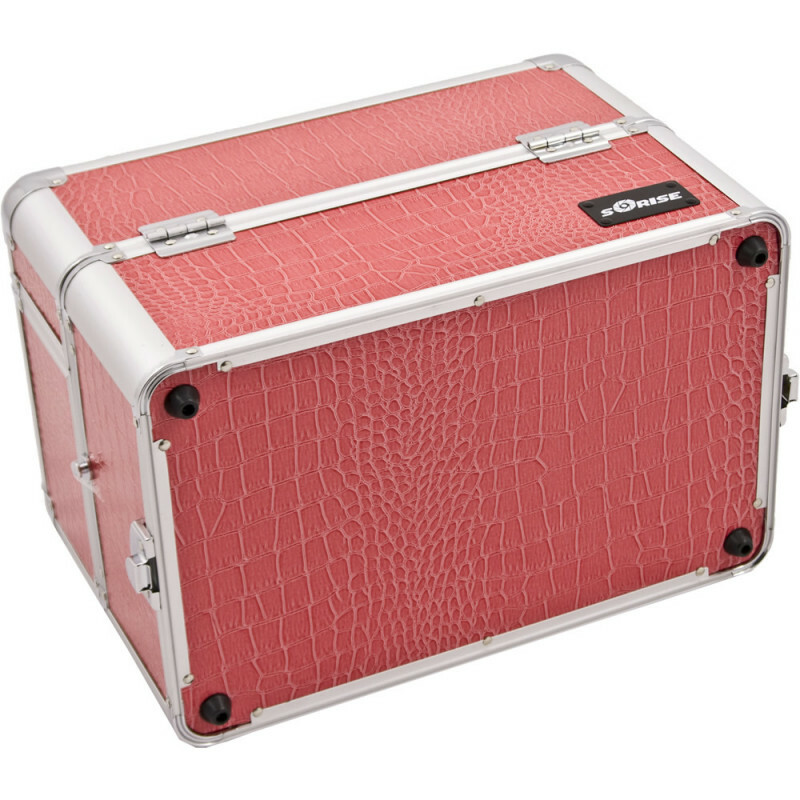 Also, this case can be attached to any Sunrise E Series Rolling Case. 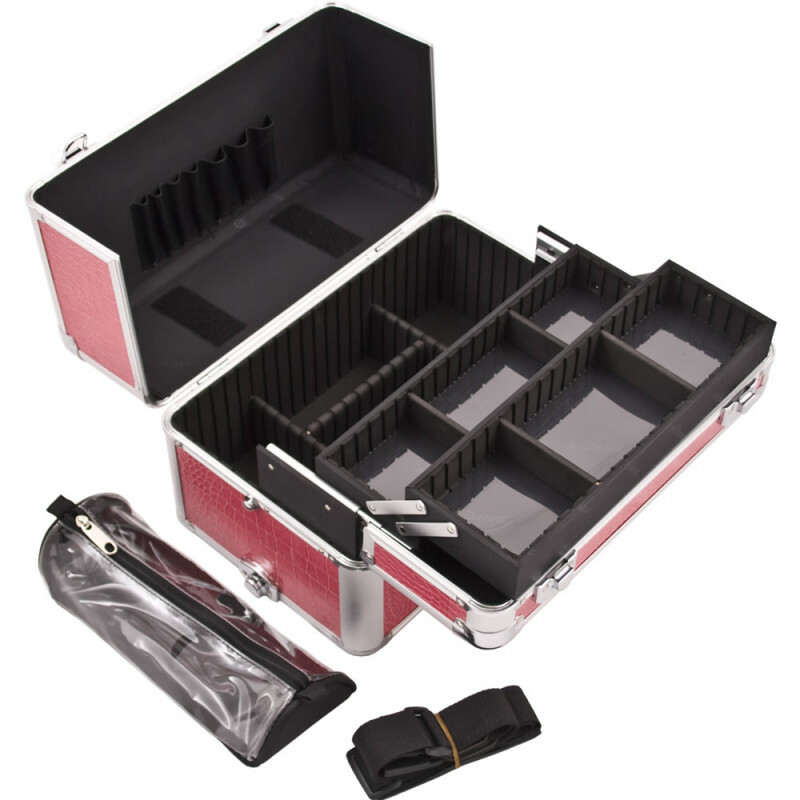 Total Case Dimensions (LxWxH): 14.5" x 9.5" x 10"
Clear Bag (LxWxH): 11" x 3.75" x 3"
Trays (LxWxH): 12" x 3.5" x 1.5"
Large Center Compartment (LxWxH): 13.75" x 8.75" x 5.5"